Relax and recharge in the glamorous surroundings of our premier two bedroom suites. Indulge in the utmost luxury, with sumptuous furnishings, beautiful king bedrooms, and separate areas for entertainment and relaxation. 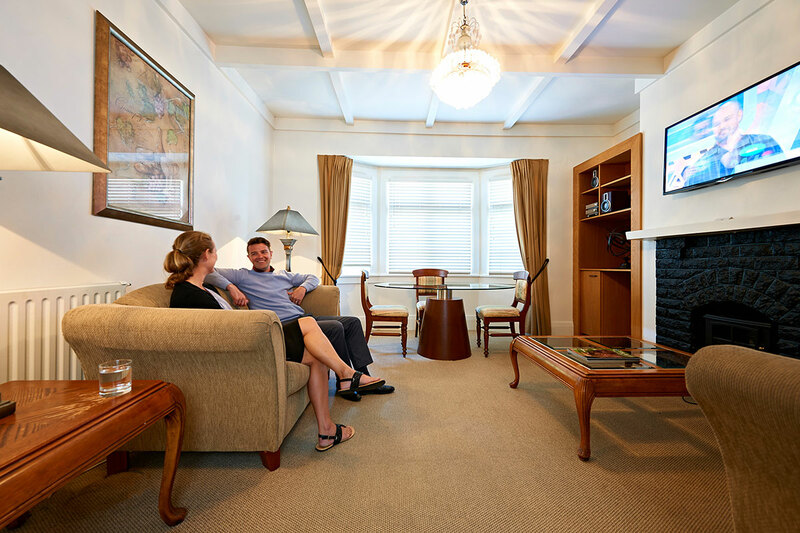 Our Premium Two Bedroom Suites offer one bedroom with a king bed, second bedroom with twin beds, separate lounge, tea and coffee making facilities, kitchenette with dishwasher and Sky television. They are popular with wedding parties as interconnecting doors mean that the suites can be opened through to the Duchess Suite. Maximum number of persons in room is 4 using existing bedding. No extra persons in these rooms.